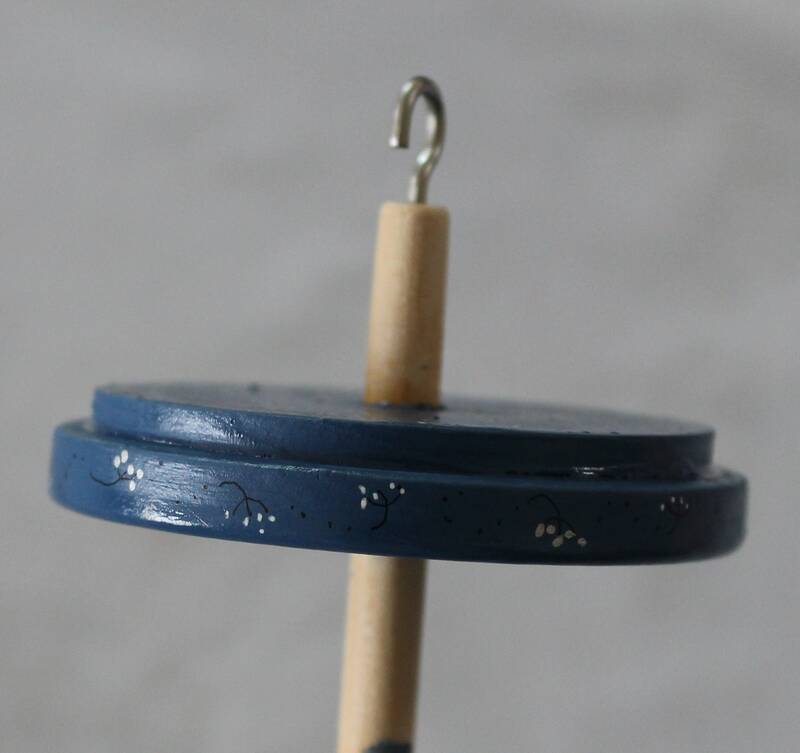 I love spinning yarn and use both a wheel and a drop spindle. 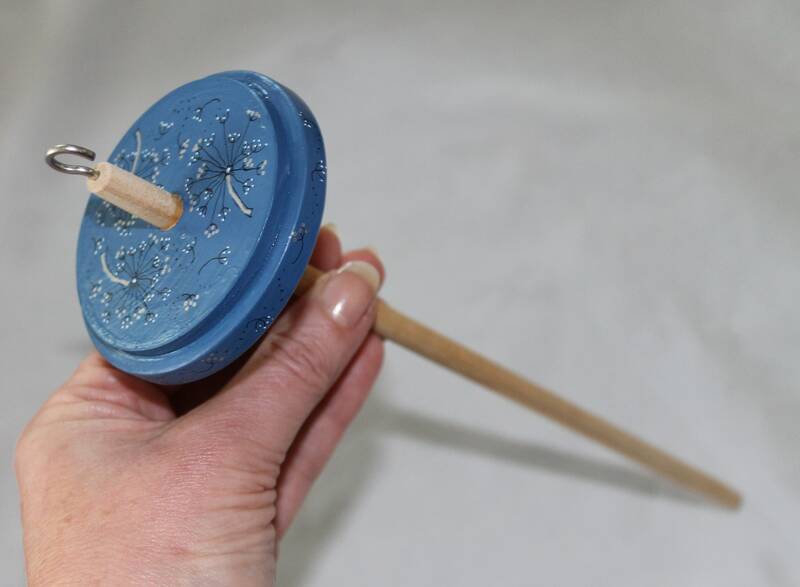 This listing is a top whorl spindle and is about 35g in weight. 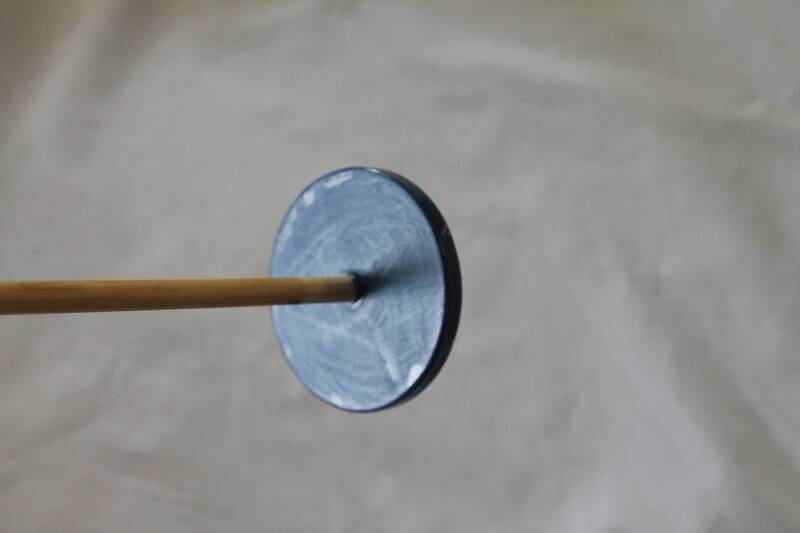 it has a large enough whorl to enable a good amount of single ply spinning as well as plying. 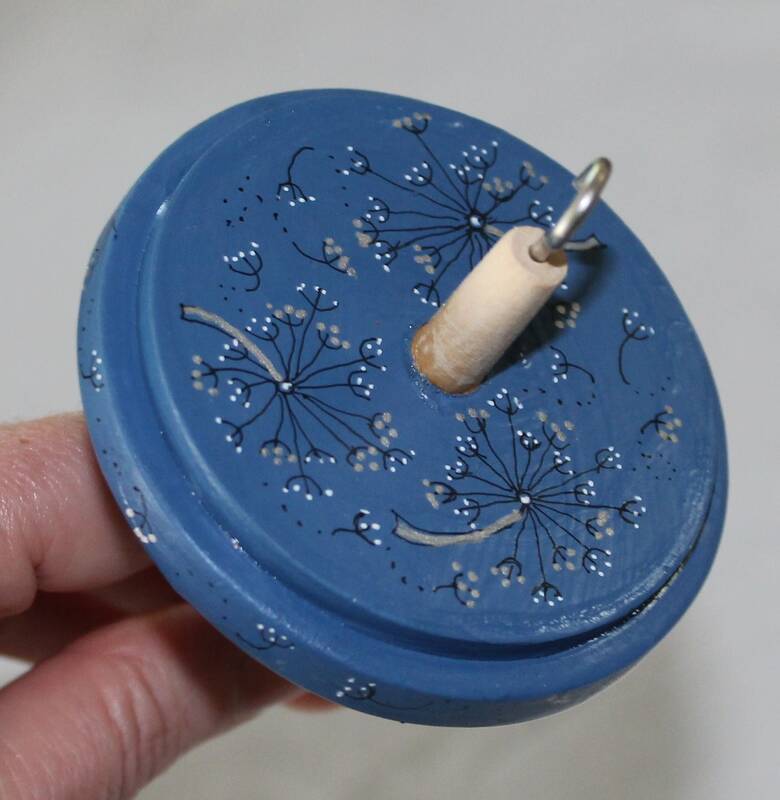 I love to add a little piece of pretty to things I use and I have hand painted this spindle. 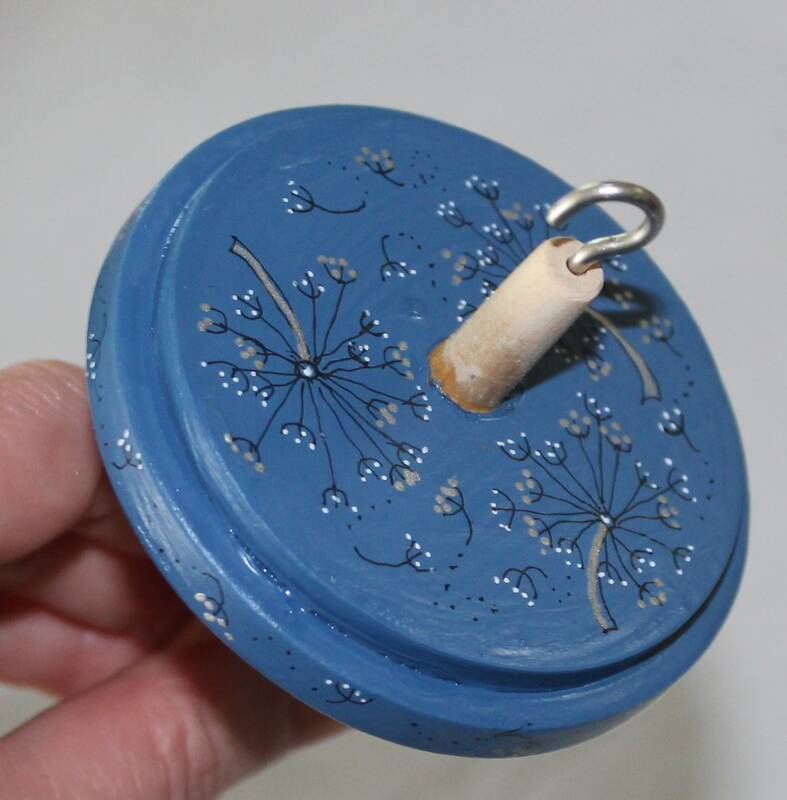 I based painted it in a blue chalk paint and then using pen and ink and water colour and silver paints to paint a unique to each spindle decoration of dandelion clocks. The sides of the whorl have a decoration of single clocklets. The painting has then been sealed using several coats of a high gloss varnish.